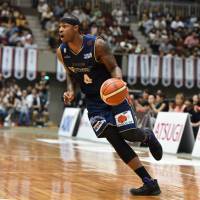 After two seasons in a Yokohama B-Corsairs uniform, power forward Jeff Parmer is ready for a change of scenery. The former bj-league MVP has joined the Bambitious Nara, the second-division club announced on Monday. For Parmer, Nara becomes the fifth Japan pro basketball franchise he’s joined. He’s previously distinguished himself as a go-to leader and all-around standout for the Hamamatsu Higashimikawa Phoenix (2010-13), Shinshu Brave Warriors (2013-14), Shiga Lakestars (2014-16) and B-Corsairs. The Florida Atlantic University product is a clutch shooter who played an instrumental role in helping the B-Corsairs stave off relegation, avoiding demotion to the second division, in each of the first two B. League seasons. He consistently averages double figures in points, including 16.9 per game when he claimed the bj-league MVP honor in 2010-11 as the Phoenix cruised to their second consecutive title. That season, the Phoenix went 40-6 in the regular season with Parmer helping set the tone at both ends of the floor for fiery bench boss Kazuo Nakamura’s club. The Bambitious, who endured a 19-41 campaign in 2017-18, are seeking to climb in the standings and contend for the B2 title and a shot at getting promoted to the first division. Last season, Parmer contributed 11.4 points, 5.9 rebounds and 2.6 assists a game for Yokohama, which appointed Tom Wisman as its new head coach in the offseason. “I would like to thank the Bambitious Nara organization for giving me the opportunity to play for the 2018-2019 season,” Parmer said in a statement. “It is an honor to play for this organization and to continue to play the game that I love in Japan, my second home. Former NBA big man Ryan Kelly last week agreed to terms of a contract with the Sunrockers Shibuya. Selected with the 48th pick (Los Angeles Lakers) in the 2013 NBA Draft, Kelly has played for the Lakers and Atlanta Hawks. He’s appeared in 163 NBA games (59 starts), averaging 6.0 points, 3.1 rebounds and 1.3 assists. In his rookie season, Kelly saw court time in 59 games and registered 8.0 ppg. He played three seasons for the Lakers before switching to the Hawks. The 211-cm Duke University product competed for the Sevilla-based Real Betis in the Spanish League this past season. Kelly helped the Blue Devils win the 2010 NCAA Tournament title. Trivia tidbit: His wife Lindsay’s father is former Pittsburgh Steelers head coach Bill Cowher. Under new bench boss Michael Katsuhisa, a former Yokohama and Shimane head coach, the Brave Warriors will be bolstered by newcomers Takuya Sato, Wayne Marshall and Richard Roby, among others. Veteran power forward Sato, who turns 35 later this month, moved from the B-Corsairs to the Brave Warriors. Over the past five years, the well-traveled Sato has also played for the Chiba Jets, Tsukuba Robots, Wakayama Trians and Kyoto Hannaryz. Marshall, a familiar face to Shinshu fans, is returning to the rebuilding squad after a five-year exodus. Since then, he’s laced up the sneakers for the B-Corsairs, Shimane Susanoo Magic and Kanazawa Samuraiz. The 211-cm Temple University alum made his Japan debut in 2010 for the Osaka Evessa. Shinshu recently announced it had signed Marshall, a gifted shot blocker, accomplished rebounder and capable passer. And now, after a season soaring to the basket in South America, Richard Roby has come back to Japan. He worked out a deal to play for the retooling Brave Warriors in a deal announced this week. The University of Colorado alum made his mark on the title-chasing Akita Northern Happinets from 2013-16, including Best 5 accolades in the 2014-15 bj-league campaign. Stints with the San-en NeoPhoenix and Evessa followed in the 2016-17 campaign. Meanwhile, team leader Anthony McHenry, a cornerstone of the Ryukyu Golden Kings dynasty, agreed earlier this summer to continue playing for the club as it undergoes a makeover. McHenry averaged 13.6 points and 8.5 rebounds in 58 games this past season, when Shinshu went 25-35 in the second division. Katsuhisa spent last season as an assistant coach for the Tochigi Brex, helping the team rebound from a poor start and finish above .500 (34-26). He demonstrated his solid head coaching credentials the previous season, leading Shimane to a 51-9 record. Veteran guard Masahiro Kano, who had long stints with Fukuoka separated by two seasons with the Shiga Lakestars, has retired, the Rizing Zephyr announced on Sunday. Kano competed for Fukuoka during the team’s inaugural 2007-08 season (when they shocked their bj-league foes and reached the Final Four) through 2014, left to play for Shiga and returned in 2016 for two more years as a backcourt contributor. Looking back on his career, the 34-year-old said that he has many fond memories from his playing days. He cited family and friends, teammates and fans for their fervent support. “I am really thankful to you,” Kano said in a news release, collectively addressing all who encouraged him throughout his career. Now, Kano admitted, it’s time for him to pass on his love for the game and hoop knowledge to the next generation. He will work for the team’s basketball school, serving as a skills coach and under-15 team assistant coach. 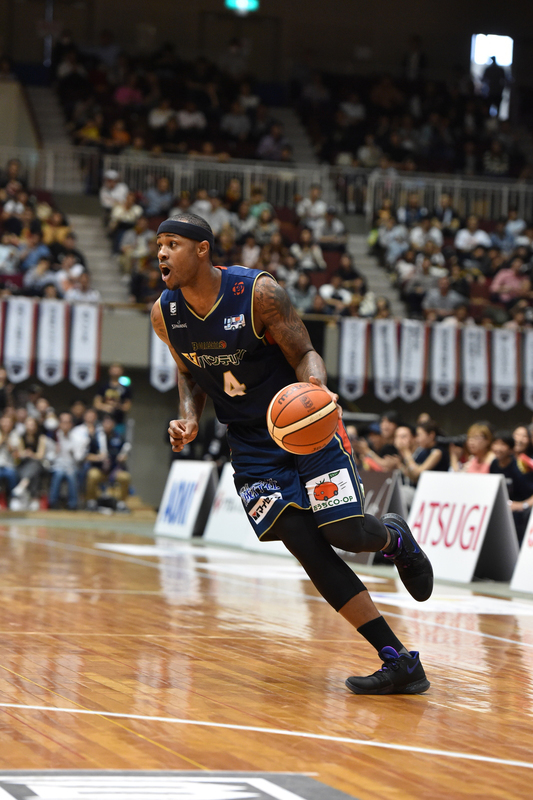 Team leader Draelon Burns is returning to the Nishinomiya Storks for a third season. The club made the announcement on Monday. Burns, a 194-cm DePaul University alum, helped the Storks win the second-division title in 2016-17. Now, after a season in B1, they are back in the second flight. Winning big games has been a trademark of Burns’ career in Japan, with additional titles while suiting up for the Yokohama B-Corsairs (2012-13, bj-league) and Ryukyu Golden Kings (2013-14, 2015-16).